Want to make the cutest Easter basket ever? How about a great, fast baby shower gift? Or maybe a cute basket for your desk? 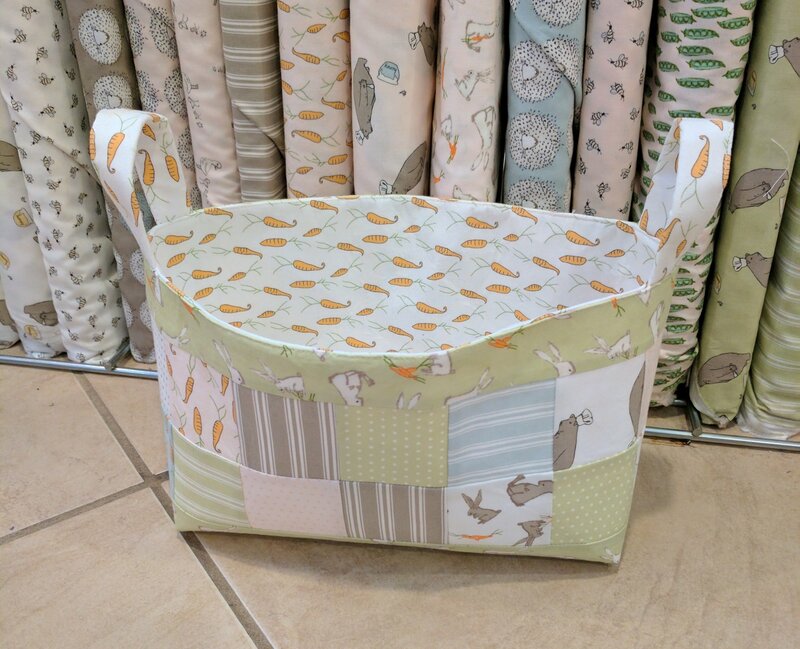 Join Janet for this fun, fast class and make a large basket in class and go home with all the skills to make more in the small and medium size! A couple of fat quarters, some fusible interfacing and mini charm pack are all you will need! Warning-these baskets are almost like bunnies though-they just keep multiplying and multiplying!